Geology Lead Mining Ground over Main Limestone. 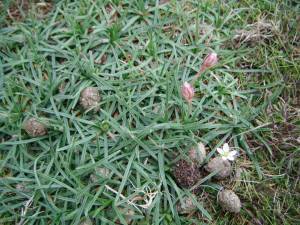 Record Name Thrift or Sea Pink, Armeria maritima. Montane location. Record Description The distribution of Thrift or Sea Pink in the British Isles is of especial interest in that this very familiar plant grows on sea cliffs and in turf in the estuaries all around the coasts of Britain. 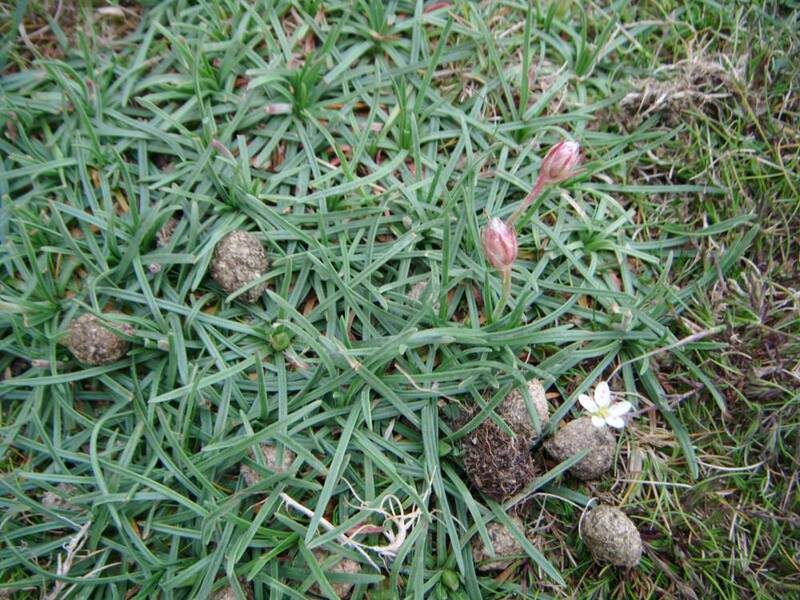 However what may not be generally known, this plant also grows on the very summits of the highest mountains of Britain, and thrift has been recorded elsewhere in Wensleydale. Armeria maritima (Thrift)in its montane form has, together with Silene maritima (Sea campion) and Plantago maritima (Sea plantain), been recognised in deposits of Full Glacial Age at many sites in Britain and the montane form of Thrift can be regarded as having been present among the earliest colonising tundra vegetation of Britain both during and at the end of the Ice Age. References: Sir Harry Godwin, 1956 'History of the British Flora'. John Raven and Max Walters, 1956 'Mountain Flowers'. Collins,New Naturalist Series. Image 1 Description Thrift, Armeria maritima. In bud, Preston Moor. 07 May 2011.